Long range UAVs as indispensable aircraft in search and rescue operations. SAR operations always were expensive for government, hard for infrastructure, exhausting and same time risky for people. Let’s take a look on one of the most expensive SAR operations in the last years, Malaysia Airlines Flight 370. The disappearance of Malaysia Airlines Flight 370 perhaps the most publicized SAR operation of the last years. Same time the most expensive search effort ever undertaken. During of search operations, 118,000 square miles off the southwest Australian coast represented the preliminary search area. After the first week of using a narrowed search range, vessels broadened the search area significantly. By April 28th, almost two months after Flight 370’s disappearance, 19 ships and 345 aircraft sweeps had conducted a surface search that covered approximately 1.8 million square miles of the Indian Ocean. Back in June of 2014, Time valued the monetary expenditures for the search effort up to that point at the equivalent of $70 million. By the time all search operations ceased, the bill amounted to over $100 million, warranting the mission recognition as the most expensive aviation search and rescue operation ever. Now let’s talk about 345 aircraft used during the SAR operations. 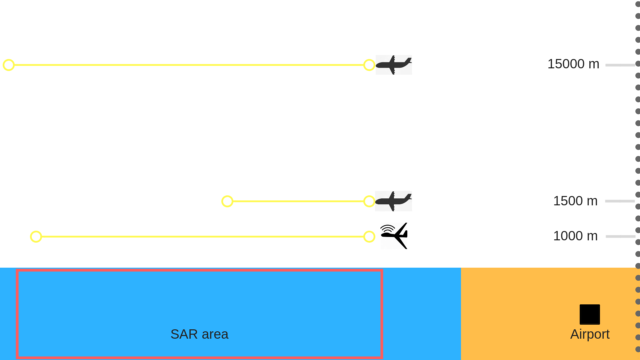 When we are talking about SAR, its very important that aircraft should stay on low altitude, so clouds will not cover the ground or water surface, for plane its mean serious losses in distance of fly with higher fuel consumption. 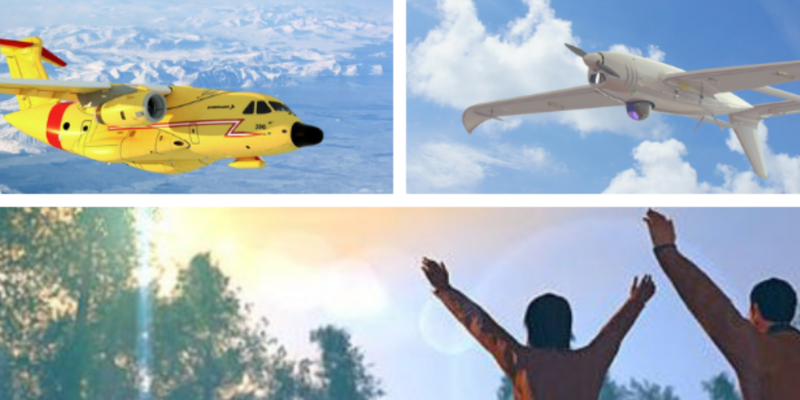 Long range UAVs like Raybird – 3 was designed to fly on altitude up to 3000 meters, and it can travel around 2500 kilometers, this result seriously better than for helicopters and very compatible with ultra light, light and medium aviation. Next is fuel. 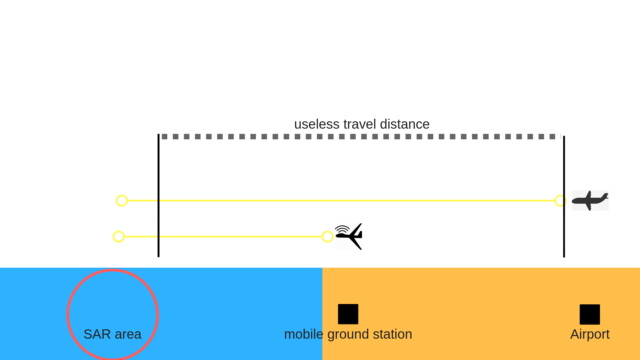 During the flight on low altitude plane will use even more fuel than average flight, which is also not cheap. On low altitude it can be 300$ – 400$ per hour, while UAV Raybird 3 will use 1$ – 2$ per hour. Difference is huge! 1000 hours of Raybird 3 flight will cost like 3 hour of search and rescue plane flight. Now imagine 345 aircrafts were used during the SAR, and it is only about fuel. Next important point is 345 aircraft should take off somewhere and land. Even if all 345 aircraft will do 2 trips, not every airport can handle it, it’s a lot of airports where 345 vehicles will be serviced easy for sure, but you never know where trouble will happen, and usually it will be far away from comfortable airport. Long range UAVs can be delivered to any place for takeoff, it can be field, roof, truck or even minibus like VW transporter which you can see around the city every day. Even if you have handy airport not far from SAR area, you will travel distance to reach place and then come back. Also, do not forget that usually plane will have at least two persons on board, mostly 3 to 5 persons. 345 aircrafts means at least 700 people in the air taking risk. While 100 long-range UAVs Raybird need 12 persons to control fleet, for 345 UAV will be 42 persons staying safe on the ground. We just describe narrow part of the situation. We did not talk about technical service of vehicle, preparation time and complication of all process together. Today we can say for sure, that long-range UAVs ready for SAR operations and they more efficient and easy to use. Aircraft Industrial Company “Skyeton” was founded by a group of engineers and pilots in 2006. The company develops and supplies unmanned aerial systems and light sports aircrafts for numerous aerial solutions. Our vision is developing highly automated aerial platforms, designed to continuously perform complicated applications in extended and distant environments. UAV international exhibition in Chicago, USA. Copyright© 2006-2018 «Skyeton». All right reserved. 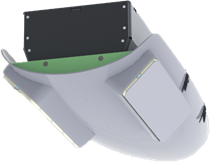 Fixed-wing UAV mount provides high-quality aerial imagery for mapping and reconnaissance on large area spans and for lengthy and remote objects. Special post-processing software allows for picture composing, providing a seamless most updated area map. Live output allows capturing specific objects as directed from the ground. Photogrammetry solutions allow creating topographical maps and measuring accurately long distances and large areas. Whether photo camera is used alone or together with laser scanner/LIDAR, it is of benefit for land development and city planning, examining watersheds and deforestation research and agriculture field measurements. Recurring flights over defined areas provide a spectacular tool for reviewing the ever changing environments. Going further practical, the additional software may identify and report object changes in the large surveilled areas. HD or Full-HD video combined with night sensor provides clear picture around the clock. Switch between the sensors is a single-click, ensuring a continuous operation. The built-in target tracking allows identifying moving targets, selecting one, locking the imager for following, and providing precise location coordinates. In certain cases, target tracking may be provided as post-processing of a given video stream. With modern AI solutions at hand, the targets may be differentiated by pre-defined class. Machine learning algorithms improve accuracy for the given environment flight-after-flight. 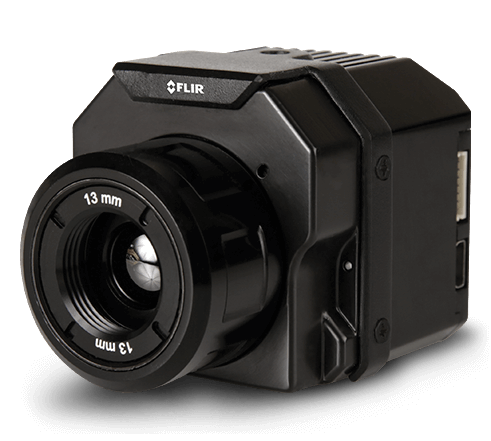 Thermal imager captures non-contact temperature measurements from aerial perspective and saves accurate and calibrated thermal data built into each pixel. Setting accuracy and quality on the new level, it provides comprehensive thermal imaging data for building and roof inspections, power grid inspections, infrastructure analysis, precision agriculture and public safety. Precise digital crop field maps allow to pin-point areas requiring attention – be it water, weed or pathogen treatment, or nutrient adjustments. Multispectral and hyperspectral imagery provides accurate data to detect and monitor vegetation health and nutrition-richness, drought stress, plant pathogens and respond with precise action needed in each area of attention. 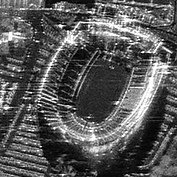 Radar vision is an all-weather day and night visualization system used to create high resolution images on the ground from an aerial platform. Being it severe weather, low clouds, high humidity area, or other, it gives clarity and provides accurate data to get the mission done. SAR uses radar antenna motion over a target region to provide finer spatial resolution than conventional beam-scanning radars. 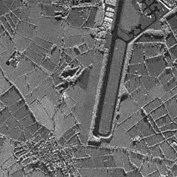 Stand-alone or paired with LIDAR it provides perfect two- or three-dimensional landscape imagery. Control system Optional – automatic program or operated remotely from the ground control station.